How to Easily Master Format XIAOMI MI MAX 2 with Safety Hard Reset? Tips and tricks to troubleshot XIAOMI MI MAX 2 problems with simple fix. We can call this smartphone as phablet because it have 6.44 inches LCD screen size with Full HD resolutions at 1080p. The first time release in the market XIAOMI MI MAX 2 use Android Nougat 7.1.1, but many Xiaomi users will not get some trouble with fast firmware upgrade if we use Global ROM. XIAOMI MI MAX 2 have dual simcard slot with slot 1 share together with external microSD memory card. Therefore we only can use 1 simcard provider if we need to extent storage with external simcard. However, there are two options for internal memory 64 GB or 128 GB, of course more bigger internal memory will have more expensive price. 64 GB internal memory if cheaper options and enough for most users. The community of www.hard-reset.org will give more information about how to solve trouble at XIAOMI MI MAX 2. The XIAOMI MI MAX 2 will do the hard reset or master format to factory default process. How to Make Battery of XIAOMI MI MAX 2 Stronger, Life Longer and Not Fast to Drain ? This is phablet, the smartphone which have big screen at 6.44 inches. 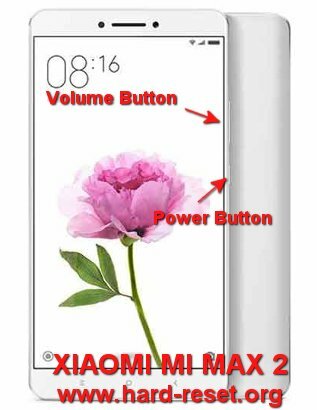 Of course XIAOMI MI MAX 2 will need big battery as well. For this reasons, XIAOMI MI MAX 2 use 5300 mAh battery. This size is enough for most users to work or do some entertainment for one day without need to recharge. As we know that some Samsung tablet with 7 inches have about 4000 mAh battery, therefor XIAOMI MI MAX 2 with 6.44 inches using 5300 mAh is big enough. But if we are very heavy users who use this phablet too much such as watch several full movie or playing games for several hours, then XIAOMI MI MAX 2 battery may not enough. We have to do some adjustment. First try to set LCD screen as low as possible.